We are in for a hot one this summer! You know we’re all about these summertime months, but it can be hard to find ways to keep cool. That’s why we’ve come up with a summer fun ideas list that’s packed with treats to help lower the temps! 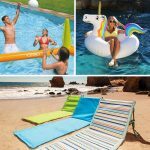 From backyard games and toy ideas to wet and wild activities for the pool, we’ve collected over one hundred of this season’s hottest products. Seriously, this is a list you are going to want to keep your eye on as it’s family friendly and heavy on the fun. Are you ready to combat the sweaty? Let’s take a look! From oversized versions of classic favorites to tried-and-true summer activities, these ideas will turn an ordinary backyard into a summertime wonderland. 1. Bowling Set – Steeerike! Take everyone’s favorite game of aim outside with this wooden bowling set that’s great for the lawn. 2. Scoop Ball – On your marks, get, set, get scooping! This fabulous Scoop Ball set contains everything you need for hours of fun and laughs. 3. 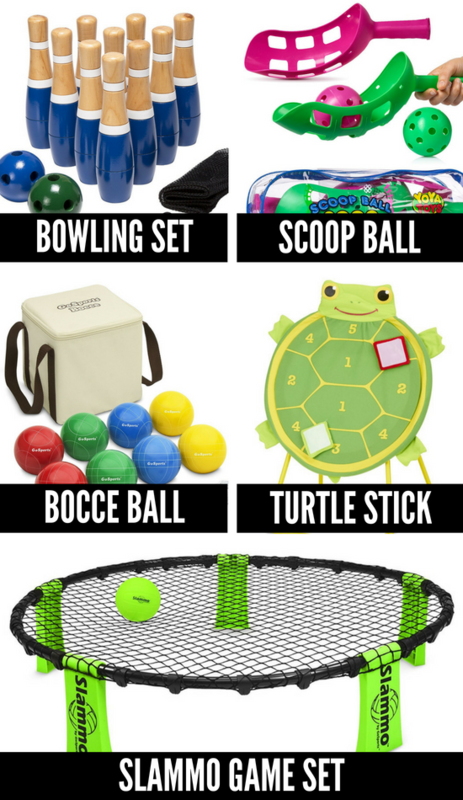 Bocce Ball – This throwing game is the perfect way to work on your throw while also having fun with the fam. 4. 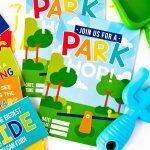 Turtle Stick – If you’ve been looking for some fun games to play outside for your smaller children, look no further! 5. 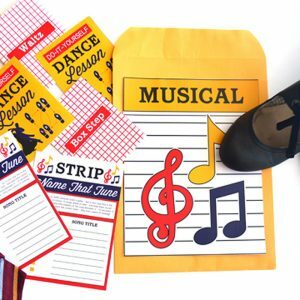 Slammo Game Set – We’ve tried this one out first-hand and let’s just say you are DEFINITELY going to want to add it to your list of summer fun ideas. 6. Goodminton – There’s nothing bad about this twist on the classic paddle and birdie game and we think you’ll love it! 7. Giant Jenga – Everyone’s indoor favorite is back in a HUGE way and it’s never been more fun! 8. Bumper Balls – You haven’t laughed until you’ve seen these in action! 9. Paddle Tennis – No court? No Problem! Play a little paddle tennis and get your tennis fix taken care of. 10. 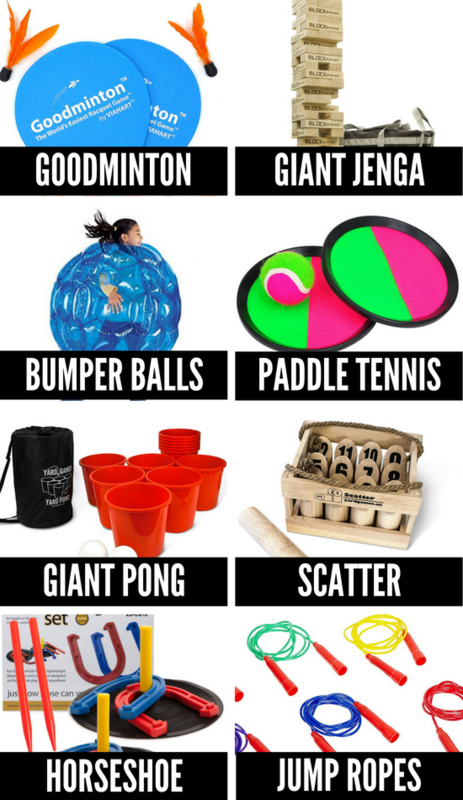 Giant Pong – Even little ones will enjoy this fun and funny version of Pong. Simply swap the booze for a little juice or soda and you’re good to go! 11. 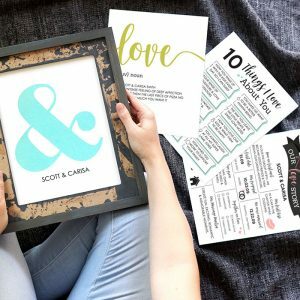 Scatter – Scatter definitely secures a spot on our summer activities list as it combines elements of tossing, toppling, and points. What could be better?! 12. Horseshoe – We think everyone should have a Horseshoe set in their backyard and this one’s a beaut. 13. Jump Ropes – No list of fun games to play outside is complete with a throwback favorite. These bad boys will get you there! 14. Giant Tic-Tac-Toe – You’ve never played tic-tac-toe like this before! Grab the fam and have some over-sized fun in the sun. 15. Lawn Dice – Get ready to roll! These oversized lawn dice will help take all your summer fun ideas to the next level. 16. 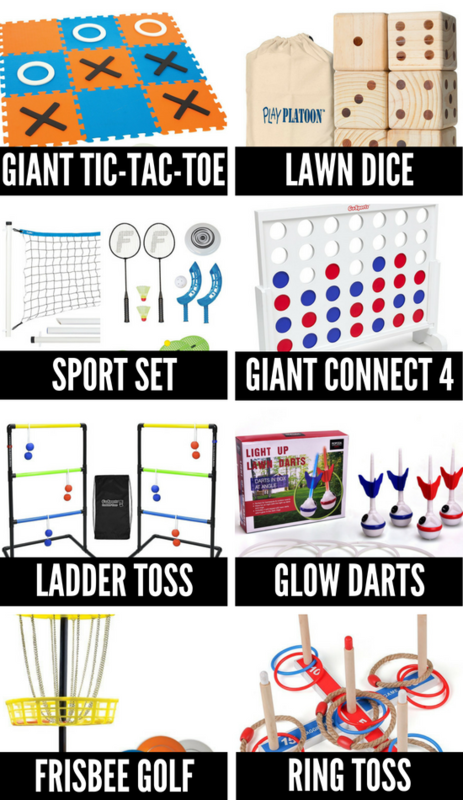 Sport Set – If you’re looking to round out your summer fun ideas in the best way possible, this is it! 17. Giant Connect 4 – Another over-sized favorite, this giant version of Connect 4 is loved by young and old alike. 18. Ladder Toss – Get ready to impress everyone with your sweet throwing skills! This set includes everything you need for assembly and transportation. 19. 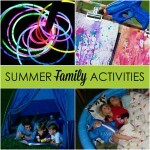 Glow Darts – Why not have a few of your summer fun ideas in the dark? This stunning set of lawn darts lights up for night visibility. 20. Frisbee Golf – Ready, set, throw! This fabulous idea includes everything you need for some frisbee golf. 21. Ring Toss – Test your aim and your toss with this sleek and chic ring toss set. 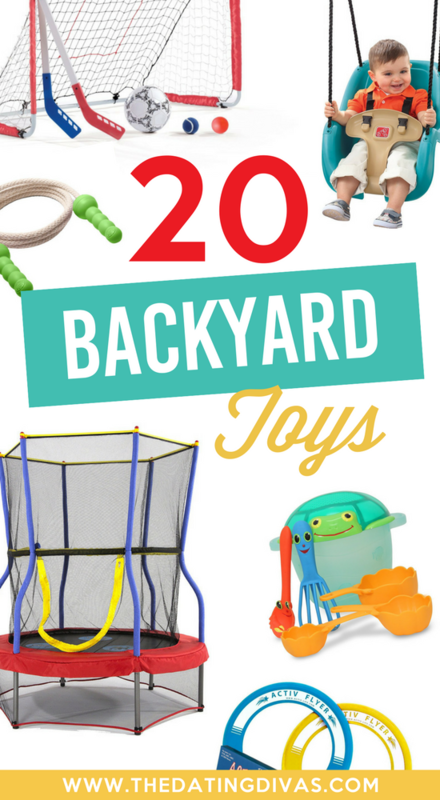 Keep the summer fun ideas going with these backyard toys that are crazy fun! 22. Climbing Set – Help your kiddos stretch their legs with this too-cute-for-words climbing set. They’ll love it! 23. 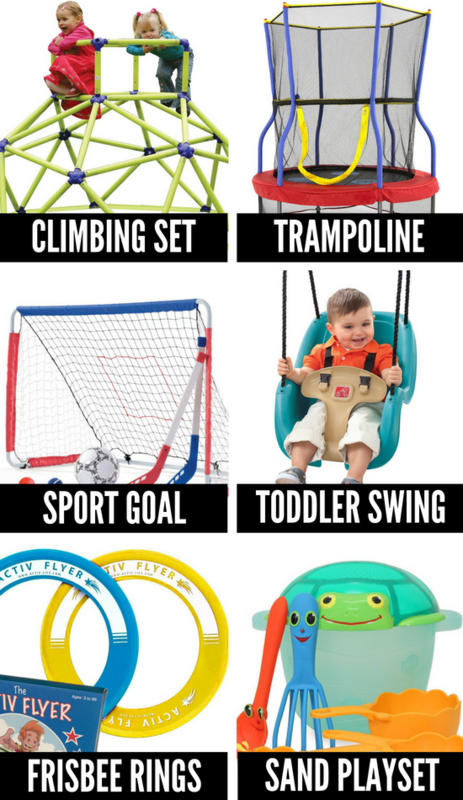 Trampoline – Help the kiddos get their wiggles out with this enclosed, 48-inch trampoline. 24. 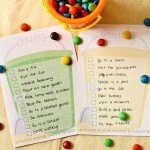 Sport Goal – If you want your kids’ summer activities to be more ‘goal’ oriented, this is for you! 25. Toddler Swing – Let this adorable toddler swing take your kiddos to new heights! 26. Frisbee Rings – You’re in for quite the deal when getting this two-pack of frisbee rings! Check it out! 27. Sand Playset – Okay, this is just too cute. It also makes for the perfect addition to any backyard sandbox. 28. Seesaw – Designed for children between the ages of 3-8 this little rocker is a fabulous addition to your backyard fun. 29. Jumping Rope – The extra durable design of this jump rope makes it a perfect option for a little summer fun. 30. Bubble Wands – This 12-pack set of a family favorite activity is quite the deal! 31. 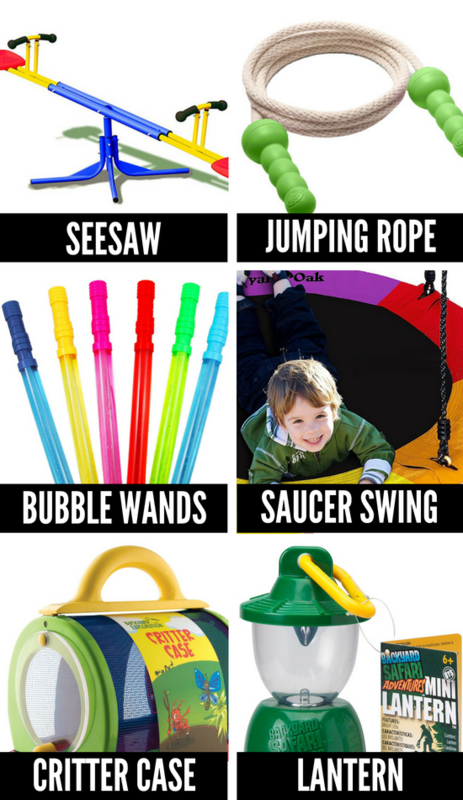 Saucer Swing – Boy, do we wish we had this giant saucer swing as kids. It looks like so much fun! 32. Critter Case – Those little ones who love to explore will adore this critter case. Plus, you’ll love keeping the creepy crawlies contained. 33. Lantern – Just because the sun goes down, it doesn’t mean the fun does! 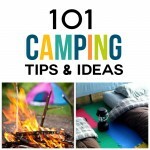 This precious mini lantern will keep those summer fun ideas going strong. 34. Giant Bubbles – Go big or go home! This giant bubble wand is the perfect way to have some larger-than-life backyard fun. 35. Rocker – Let the little ones rock out and rock on with this sturdy and durable seesaw. 36. Balloon Launch – We all want our kids to aim high, right? Well, this snazzy idea will help them do just that! 37. Trapeze Rings – Give those monkeys something they’ll love! Assembly of these swinging rings are super simple and perfect for hours of fun. 38. Slide – If you’re looking for a sweet outdoor idea for little ones, this miniature slide is just perfect! 39. 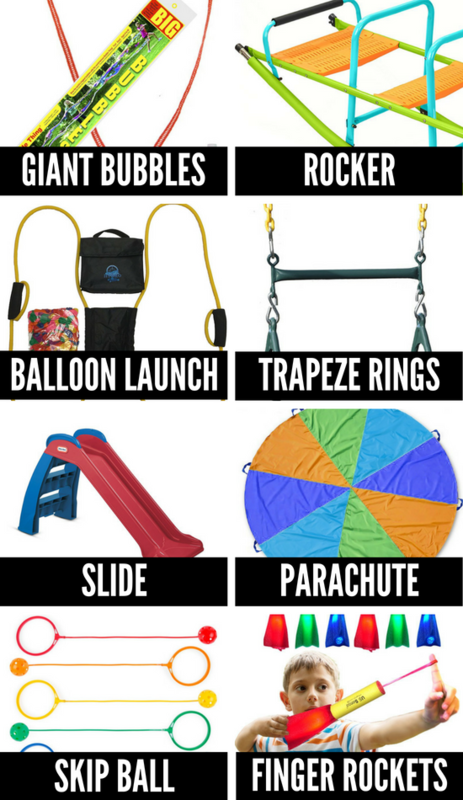 Parachute – Does anyone remember these?! Let your kiddos in on the fun! 40. Skip Ball – Similar to the classic ‘Skip It,’ this toy is both fun AND active. 41. Finger Rockets – Get ready to aim and fire with these incredibly clever finger rockets. We think they’d bit a DEFINITE hit with the tween crowd. Get ready to get wet! These summer activities are full of good ol’ H2O to keep you cool. 42. Wall Playset – Little ones might not be up for slipping and sliding but they’ll love this free-standing water wall. 43. Fire Sprinkler – Have you ever seen anything so happy?! With a spray range of up to 8 ft. your lawn will be pretty happy too. 45. Squirt Vest – How cool is this?! Take squirt gun fights to an entirely new level with this vest set. 46. Triple Racer – Get ready to race your friends and fam with this triple racer water slide set! 47. Hydro Swirl – Congratulations! You’ve officially found your summer entertainment. Kids will love jumping through this swirling water whirl and you probably will too. 48. Slide Bowling – Why bowl on dry land when it can be a wet and wild adventure?! 49. Water Rocket – The perfect combination of science and play, this water rocket project is crazy cool. 50. 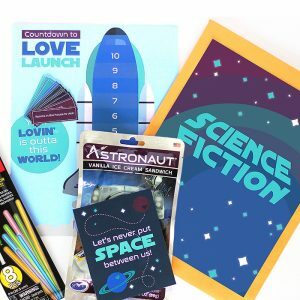 Balloon Bunch – Keep the fun going for hours with this quick and easy re-fill pack from our favorite water balloon brand. 51. Water Beads – These beautiful water beads are great for sensory play and are non-toxic! 52. Hydro Rocket – Stomping and splashing is the name of the game with the Hydro Rocket! Great for ages 5 and up! 53. Wet Head – We can’t wait to try this water roulette game out with our kiddos. Give it a look! 54. Dunk Hat – Get ready for laughs, and a whole lotta soaking, with this family-friendly game. 55. Umbrella Table – Check this out: one side of this table is for sand and one side is for water. How great is that?! 56. Firefighter Set – Little firefighters will ADORE this complete set to help them put out the flames! 57. Duck Pool – Grab those rubber duckies! 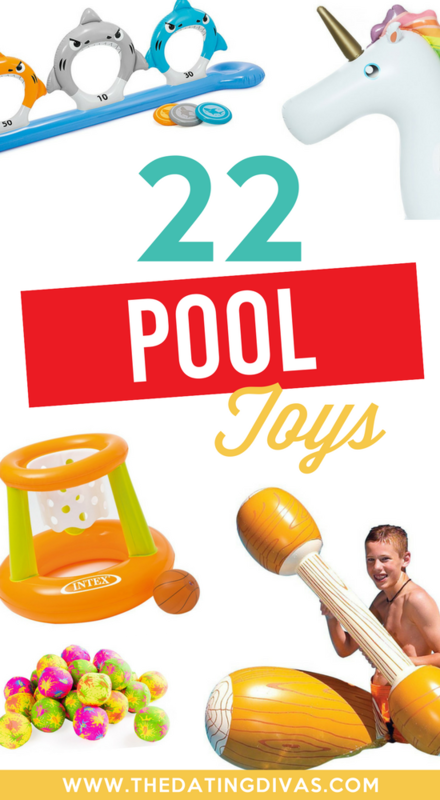 This teeny tiny pool is a great way for little ones to get their splashes in! 58. Obstacle Course – Everyone’s agility will be tested with this combination obstacle course and slip and slide. 59. Limbo Sprinkler – How low can you go? Figure it out with this inflatable limbo sprinkler. 60. Sprinkler Ball – Take a minute and imagine a giant beach ball that doubles as a sprinkler. You’ve got it! 61. Surf Slide – If you can’t get to the surf, bring the surf to you with this inflatable surf slide. 62. Bunch O Balloons – Get gifting and get your hands on this 3-pack gift set of water balloons to really help spread the wet and wild fun! 63. Crash Pad – Over 5 feet wide and 31 feet long, this slip n’ slide also has an inflatable crash pad at the bottom. Safety first! 64. Water Launcher – Get ready to get SOAKED! 65. First Slide – A teeny slip n slide that is just too cute for words, this Little Tikes product is great for the babes. 66. Splash Mat – This darling splash mat is a great way to introduce your tiny one to the water, while also helping them feel secure! 67. Castle Slide – With a climbing wall, mini-pool and waterslide, you’ll feel like royalty with this blow-up set. 68. Splash Table – This interactive water table is so cute we can hardly stand it! 69. 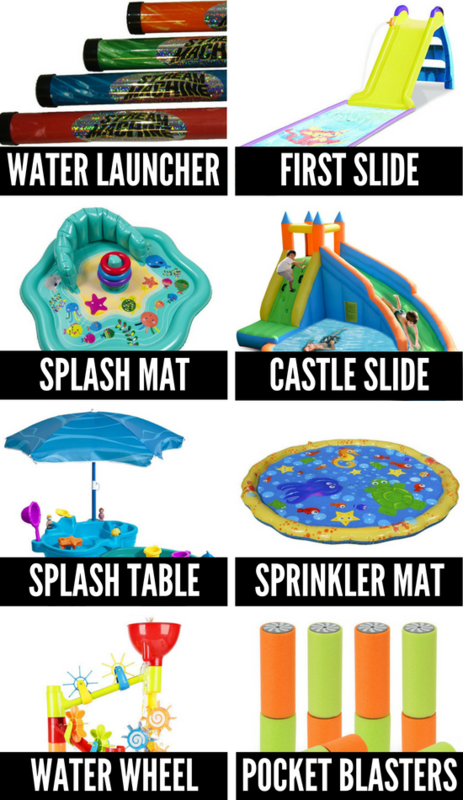 Sprinkler Mat – Your little ones might not be able to swim but they won’t feel left out with this splash and play mat! 70. Water Wheel – This crazy and colorful water wheel is basically like having a mini version of a waterpark right at your fingertips. 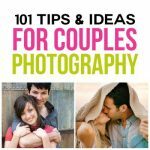 Great, huh?! 71. 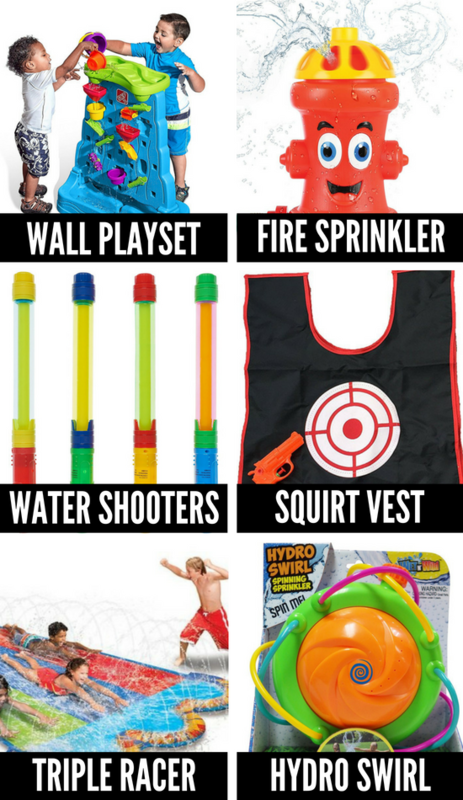 Pocket Blasters – These mini super soakers are perfect for the yard, beach, or pool! 72. Dunk Tank – Are your kids looking to get dunked? If so, this child-friendly version is exactly what they need! 73. 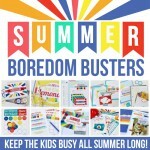 Blaster – We can’t have a list of summer fun ideas which doesn’t include a soaker and this one is great! 74. Play Center – This inflatable play center really has everything little ones could need! 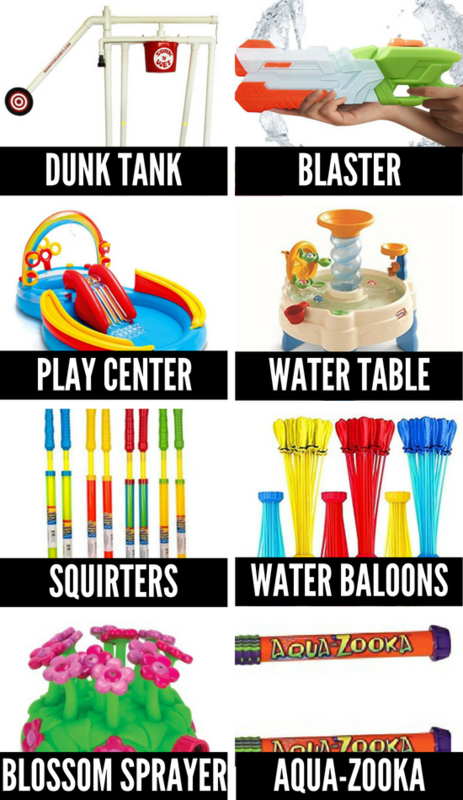 That includes a water slide, a wading pool, a water sprayer and a ring toss game. 75. Water Table – Keep your babes and toddlers entertained for hours with this snazzy water table. It looks so fun, we kinda want to try it ourselves! 76. Squirters – With a fabulous 50 ft. spray range, these squirters are the real deal! 77. Water Balloons – Say goodbye to those days of spending forever filling up water balloons. This 420 PACK (yes, you read that right!) 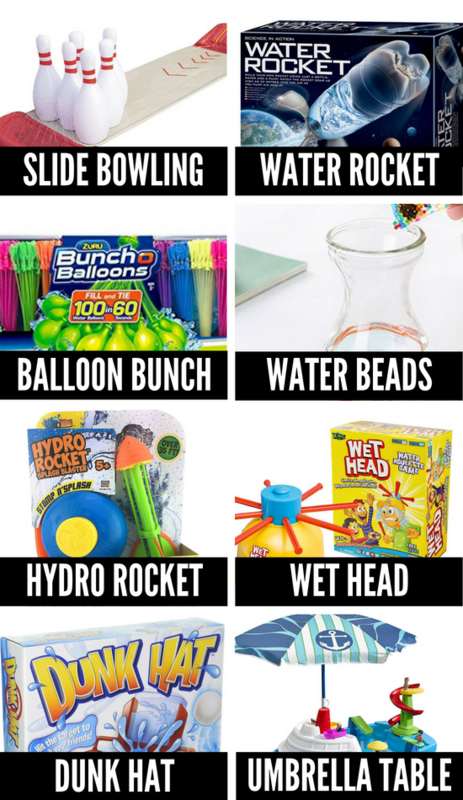 set will help you fill 100 water balloons in less than a minute! 78. Blossom Sprayer – We’re all about multi-tasking and now you will be too! Water the lawn and keep the kids entertained with this blossom sprayer. 79. Aqua-Zooka – Kids and adults of all ages will love using this oversized water sprayer that’s sure to get everyone soaked. 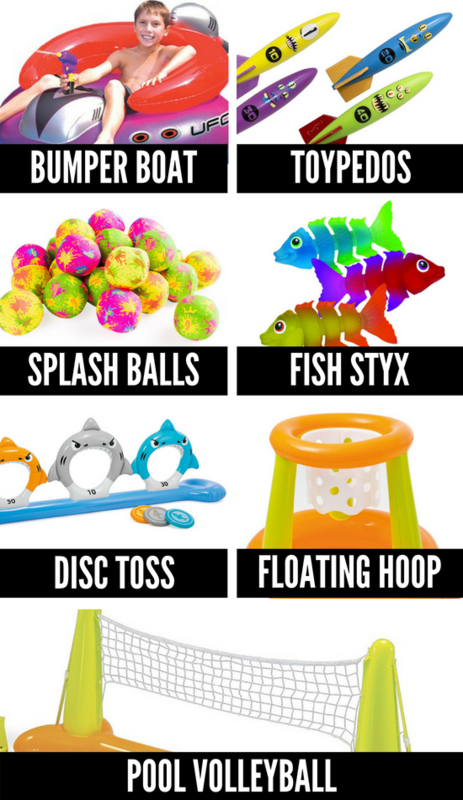 You’ll be splishing and splashing all summer long with these fun ideas! 80. Bumper Boat – Watch your back! Get a set of these bumper boats for some serious pool time fun. 81. Toypedos – Send those deep sea divers on the swim of a lifetime! 82. Splash Balls – Let these fabric splash balls soak a bit before letting them loose on everyone! 83. Fish Styx – Soft and flexible, these fish-themed dive toys are easy to grab and great for the pool. 84. Disk Toss – If you’re on the lookout for some fun games to play outside in the pool, this one is for you! 85. Floating Hoop – This floating basketball game would make the perfect addition to kiddie pools. 86. Pool Volleyball – We love this pool volleyball set because of its easy setup and darling design! 87. Unicorn Float – This darling unicorn float will really put the magic into all your summer fun ideas! 88. Hydro Hoops – Score big with this floating hoop set! 89. Pool Chair – Rest, relax, and soak up the sun with this circular pool float. 90. 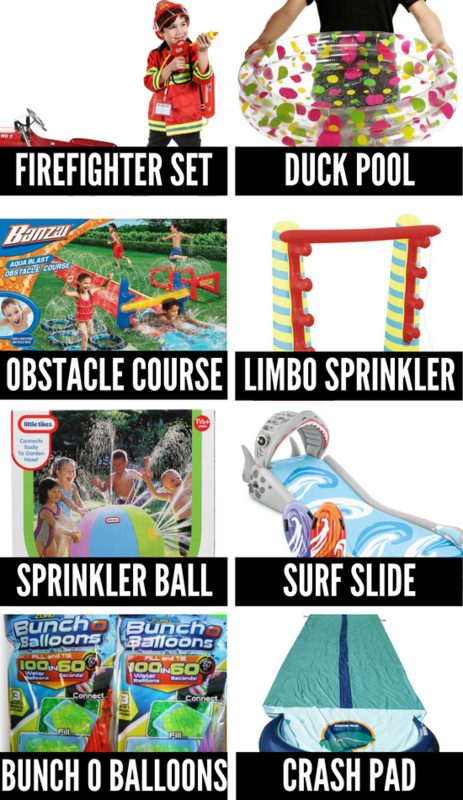 Dive Set – This really is the ultimate dive set with 32 pieces of pool-themed fun! 91. 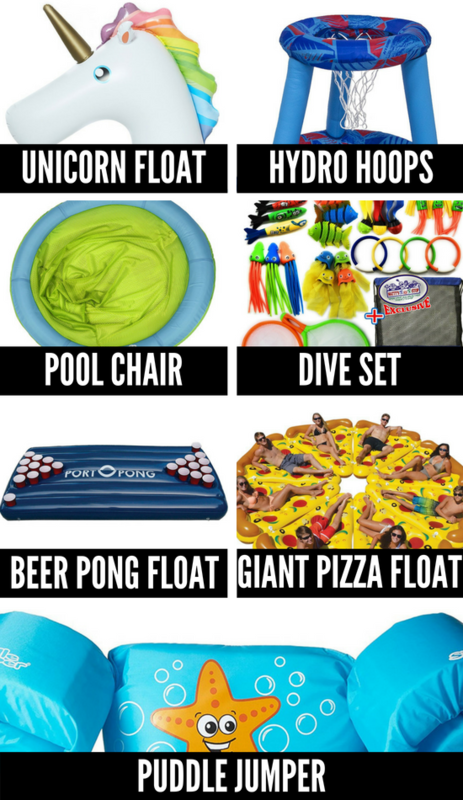 Beer Pong Float – Even non-drinkers will ADORE this snazzy float. Just swap in your favorite beverage! 92. Giant Pizza Float – Who’s hungry?! You can fit the entire neighborhood on this wacky pizza pool float. 93. Puddle Jumper – Keep kiddos safe and secure with this too-cute-for-words puddle jumper. 94. Pool Skimmer – Vroom Vroom! Everyone will love racing this boat-shaped pool skimmer. 95. Aqua Golf – Golfers, this one is for you! No need to make a special trip to the golf course when you can tee off in your own backyard! 96. Super Slide – Crafted with heavy gauge vinyl, this super slide definitely lives up to its name. 97. Game Station – Whip out those cards and get ready for a little pool play! 98. Aqua Rocker – Okay, how cool is this?! This rocking pool float is enough for two and fun enough for everyone! 99. 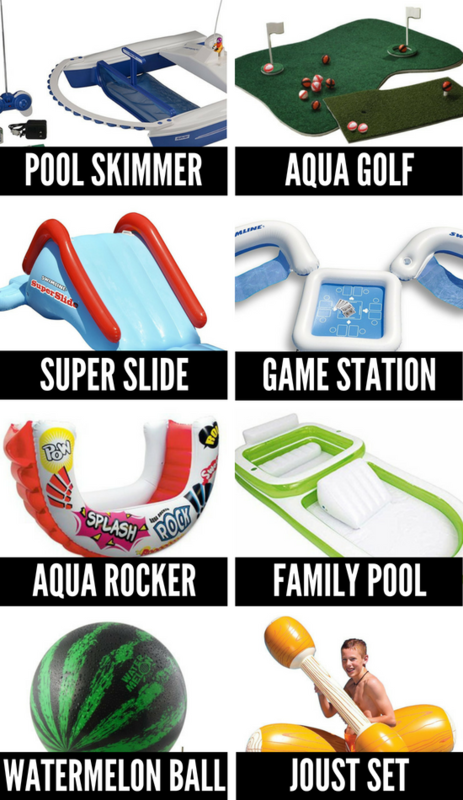 Family Pool – Get the whole family on board for a little wet and wild fun with this! 100. Watermelon Ball – If you’ve ever played Watermelon Ball with a real watermelon, you understand how hard it can be. 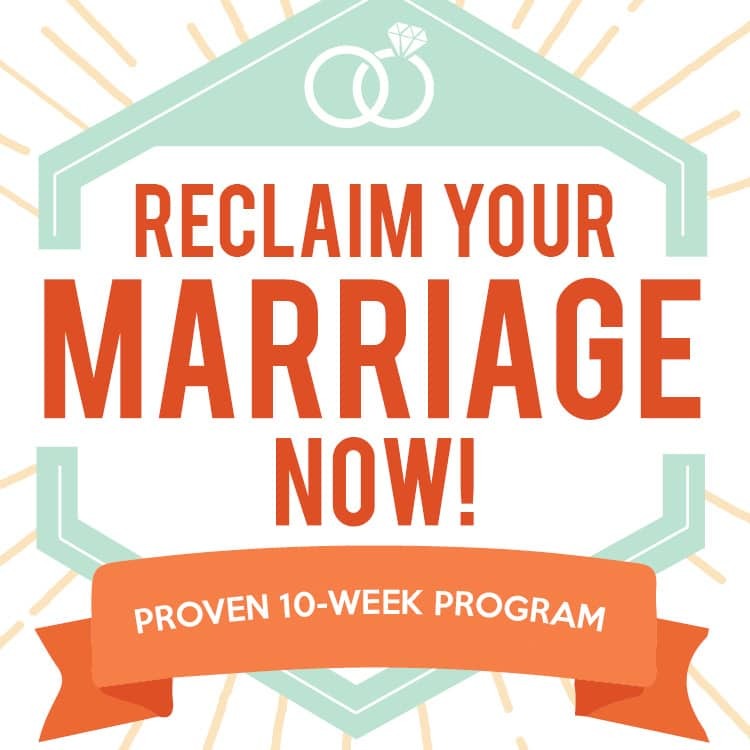 This is a fabulous alternative! 101. Joust Set – En garde! Help your little ones engage in some water-friendly fighting with this inflatable set. Was that a backyard wet and wild list or what?! 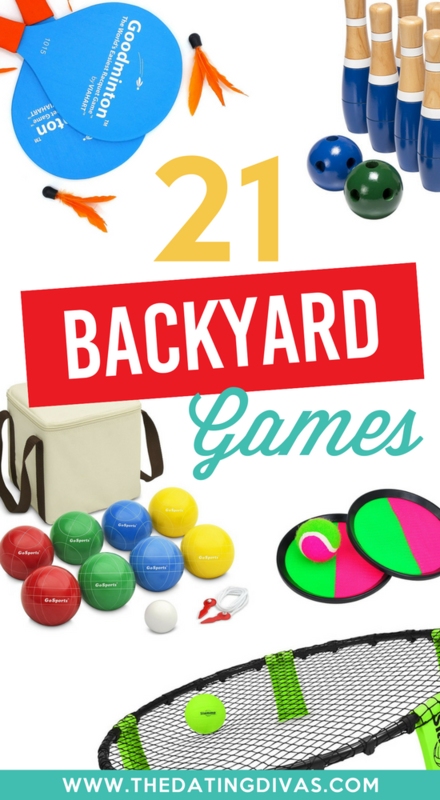 For even more great backyard fun, be sure and check out our Fun Outdoor Games for the Entire Family post and our list of 75 Outdoor Water Activites! 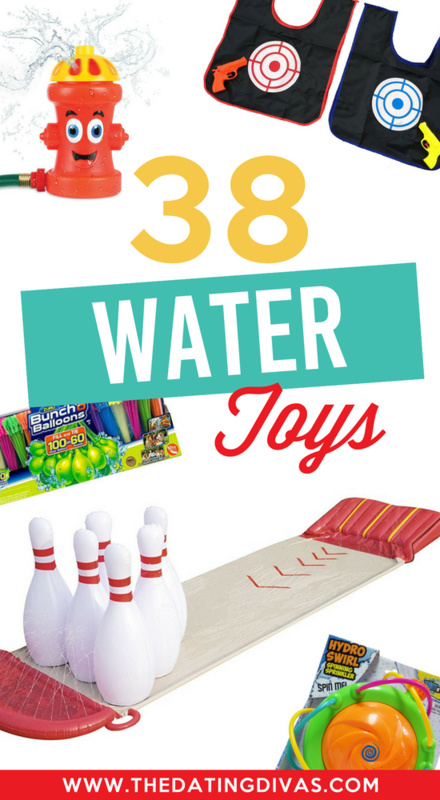 Those water toys are perfect for our AZ summers- thank you! So many FUN THINGS in here!!!!! We’re def going to order some! Ha! 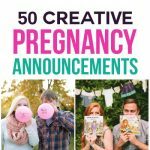 Such a fun list! I want it all!!! I NEED sooooo many of these water ones! Like SLIDE BOWLING?!? yes please!